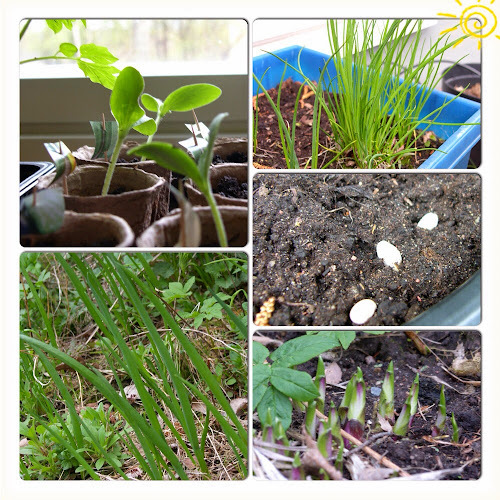 Despite the colder weathers, chives and spring onions are growing nicely outside, and even the salads and beans are to be sprouting. Inside, the zucchinis are growing, as is basil, but the aubergines are taking their time. Also, on the yard, the hosta undulatas are poking through the ground.